IDRAAC’s members share their experience in research with professionals that are interested to develop their research skills. As IDRAAC’s research focuses on mental health topics, interested people are trained on the use of research methods and tools as well as data collection, analysis and reporting. There are many misperceptions about children and adolescents’ mental health. In fact, many children with behavioral problems or learning difficulties are labeled "disobedient" or “not smart”, where in truth they may have certain mental health conditions that mothers and fathers are not aware of and do not know how to deal with. Sometimes, special behavioral and psychological techniques are needed to manage these problems more effectively. In response to this fact, we have developed a curriculum to train parents on the best parenting techniques without the use of violence. IDRAAC’s members train medical doctors, general practitioners, pediatricians, medical interns, psychologists, nurses and social workers on screening methods and diagnosis of mental health disorders in the community. 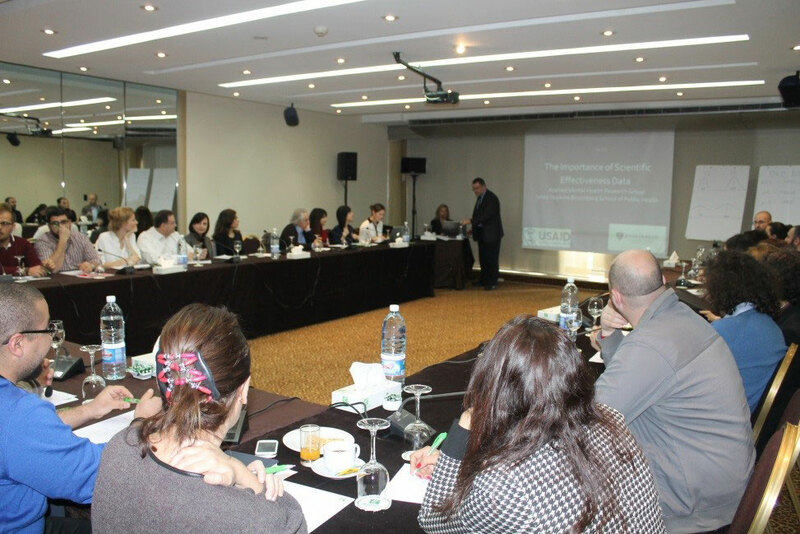 These training are carried periodically in different areas in Lebanon and targeting different target audiences. IDRAAC’s members have trains teachers from several areas for different purposes. Lectures series on specific subjects related to child and adolescent mental health, school management of children and adolescents problems, and parenting. Workshops on specific subjects related to child and adolescent mental health, screening and management of children and adolescents problems. On the field training of teachers for the implementation of a therapy program in the case of a community trauma (war, disaster…). For example, in 1996, IDRAAC initiated a school based psychological treatment program in the south of Lebanon and west Bekaa. The goal of the treatment was to alleviate the impact of an extremely traumatic war situation (Grapes of Wrath) on children and adolescents. Sixty-eight teachers were trained for that purpose, 2500 children were actively treated. In addition, IDRAAC, in partnership with the Center for Educational Research and Development (CERD), has developed the Teacher’s Manual to Learning Problems and Psychological Disorders in the Classroom. This manual provides teachers with tools and guidelines to identify and help children with learning or psychological disorders. IDRAAC provides an opportunity for clinical mental health training. IDRAAC also provides community trainings in mental health for different populations. These trainings are intended to provide basic information on mental health and psychological conditions. They are usually given to students, social workers, caregivers, volunteers or front liners dealing with persons who might be affected by mental health conditions. This helps them in recognizing the need to refer a person for help.